Home / Chipmarker / Intel / Samsung / Tech news / Samsung Surpassed Intel to claim the World's biggest Chipmarker. Samsung Surpassed Intel to claim the World's biggest Chipmarker. 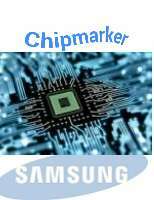 Sesgist congratulate Samsung on their archivement in becoming the world biggest Chipmarker. Chip which also known as Micro-chip has been a great revenue source to Intel for many years now as they are the former world biggest Chipmarker company. Micro-chip are those small piece of material that is a semiconductor, used to carry a complicated electronic circuit mainly for storage purpose. Chip-card (those plastic cards on which information are stored are main form of Micro-chip) i.e SIM cards, Memory cards, ATM cards etc. 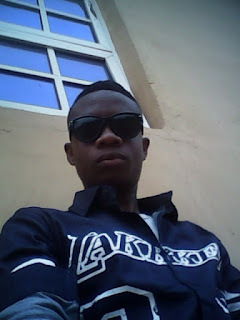 Every phone has it own chip for storage and all most every smartphone or tablet has Samsung Micro-chip (RAM) inside it. Back to our headline - From a recent post by theverge.com, it all seen that Intel has lost the world biggest Chipmarker title as it's processors cede dominance to Samsung memory. Intel which has been dominant company in manufacturing chip for many years has lost the Crown to Samsung as annual financial reports evidenced. Evidenced by Bloomberg, the change of ruling was confirmed by the change in both company's annual revenue. Intel securing $62.8 billion been surpassed by Samsung with $69.1 billion generated by Samsung semi-conductor division. But because the two companies focuses on different type of chip, the comparison are not straightforward to make since Intel's focus is on x86 processors and Samsung is in producing memory and flash storage. Based on our comparison, Intel are really impressive with their traditional CPU's as we all known that later are better than earlier. Intel based on CPU which sometimes seem outdated so you cannot comply it to Samsung's latest memory business which are more important and fundamental to the future of technology. Also in this latest report, Samsung anticipates growing “demand for high-density memory products products for cloud servers and for chipsets require to automotive electronics and AL” so Samsung are positioned to capitalize on the hardware and services. Although chip making has been the major revenue for Samsung which are doubled over the past year, Samsung also has other revenue source as they are among the leading producers of TV's, every sort of home appliances, smartphone displays and smartphone vendor. As all aspects demands continue to grow, it has helped Samsung bumper their year revenue. And for Intel, we are expecting a turn on this 2018.